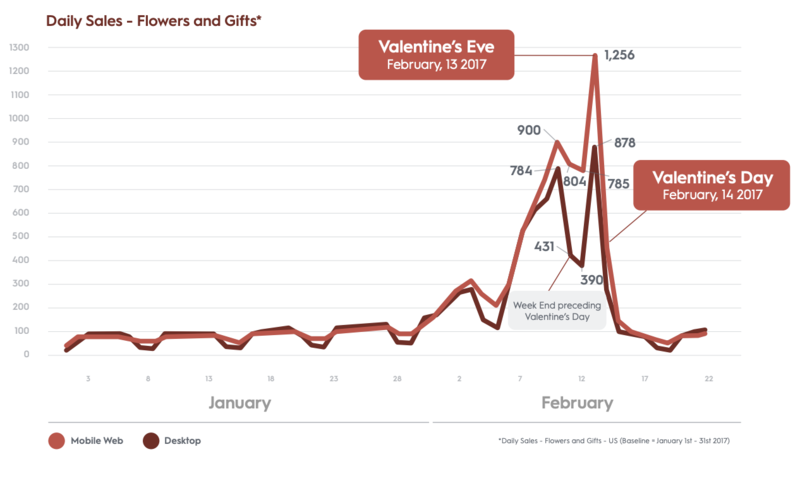 The important characteristics of Valentine's Day for marketers to consider along with some strategies proven to show love and drive conversions. This post was a labor of love from Sandro Lubas, Alex Fitzgerald, and Doron Taub, members of Dynamic Yield’s Customer Success team. 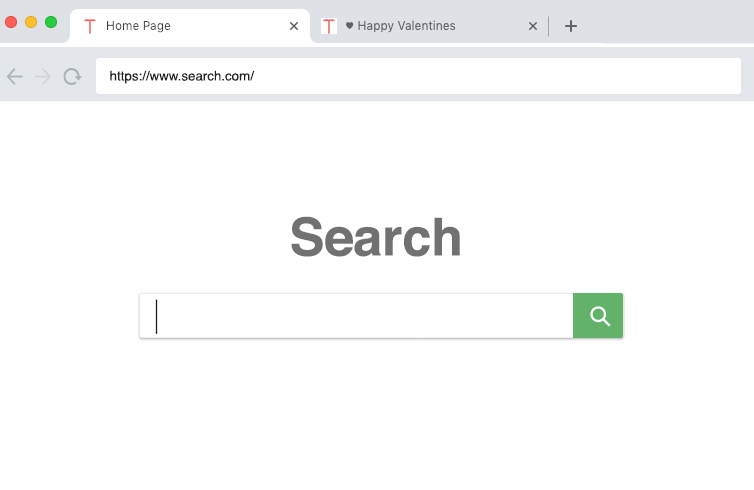 Whether you love it, hate it, don’t believe in it, or simply don’t care, Valentine’s Day represents the year’s first major holiday and a massive opportunity for eCommerce brands. But while you don’t have to be a romantic to reap the benefits, you will need a game plan to handle the influx of visitors looking to find the perfect gift for those who matter most to them. Otherwise, you’ll be kissing more than just your hand goodbye as last year, consumers spent a record $19.6 billion on the highly lucrative occasion. And it’s not just jumbo teddy bears, chocolates, and flowers anymore, with shoppers on the hunt for items and experiences meant to indulge family members, friends, children’s classmates or teachers, pets, and even co-workers in addition to their partners. Below, we’ll outline a few important characteristics of the holiday for marketers to consider and shed light on some strategies proven to show love and drive conversions. As eCommerce conversion rates and sales increase throughout the week leading up to the holiday, it’s important for online retailers to understand the various behavioral segments that emerge in order to best capitalize on the period. ♥ The planners: Your well-prepared shoppers who start searching for gifts more than a week before Valentine’s Day. You’ll want to ensure you are just as prepared as these individuals, who have high expectations and are looking for a hassle-free experience. ♥ On-the-go shoppers: For some, hunting for the right gift traverses location, situation, and device, as evidenced by the spike in mobile purchases during the weekend preceding the 14th. Nothing stands in the way of this bunch finding the perfect gift, except for a poor mobile experience, of course. ♥ Last-minute shoppers: These folks aren’t exactly ahead of the curve, but their hearts are still in the right place. Valentine’s Eve is typically when businesses experience the heaviest flow of traffic and orders, so prioritizing this bunch is critical to a successful event. Now that you’ve got a rough timeline to follow for making the most out of your Valentine’s Day traffic, it’s time to start thinking about the different personalization campaigns you can run that’ll have hearts in the eyes of each of the segments above. So how do marketers best leverage the common tendencies in behavior we see during the third-largest consumer holiday? In working with a variety of eCommerce clients in industries such as fashion, beauty, home goods, luxury, consumer electronics, and more, the Customer Success Managers at Dynamic Yield recommend a few helpful strategies and tactics. All use cases featured in this post can be found in the Dynamic Yield Template Library. With competitors looming, brands will want to capture sales early on in the week. In order to do so, they should use some good ole fashion urgency messaging to emphasize that it’s never too early to make a purchase. And according to ConversionXL, this can increase your conversion rate up to 332%. For visitors who have been browsing for an extended period of time or showcase intent to navigate away from your site, launch a countdown timer with a limited offer to motivate people to place their order now. With the days, hours, minutes, and seconds to Valentine’s Day slipping by right in front of them, they’re more likely to act instead of passing up on a good deal. Sent with love, bring shoppers who might be comparing products in another window back by whispering sweet nothings in the browser tab. When a visitor becomes inactive but still has your site open in the current session, automatically change and animate the browser tab title with personalized messages. Sometimes all a person needs is a little reminder to bring them back to the site, which in this case, should be the product detail or cart page. Thanks to improved mobile experiences, these days, shoppers are converting at a much higher rate on their smartphones. 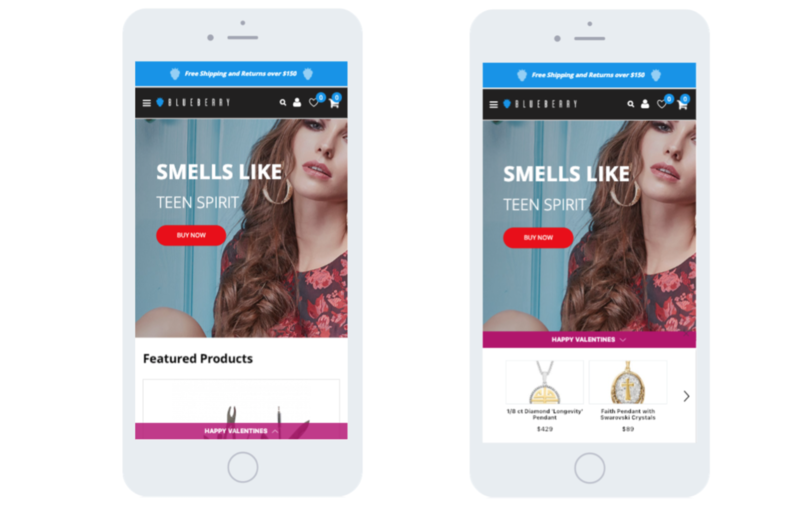 But there’s still a long way to go before closing the mobile conversion gap entirely, meaning online retailers still need to think small in order to win big with this massive portion of traffic. Size and functionality can create serious limitations for browsing on mobile, making product discovery feel more frustrating than romantic. 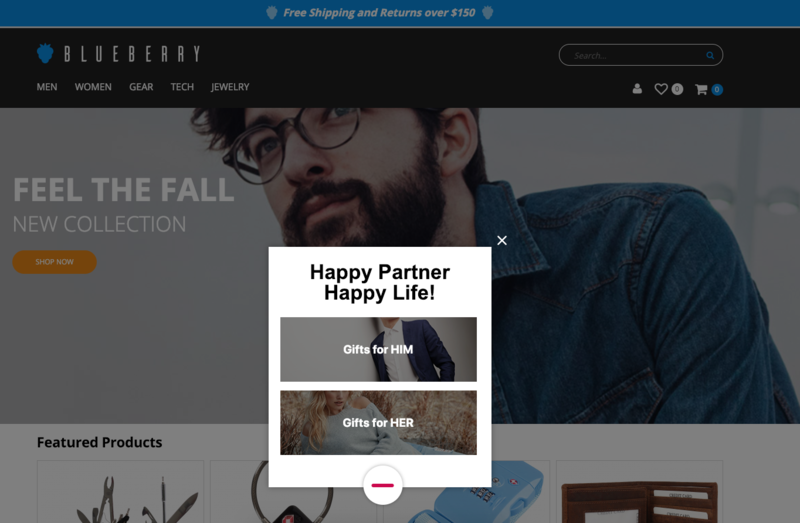 Give shoppers a hand – with a mobile-friendly product recommendation drawer, all of your Valentine’s Day deals and sales are right at the user’s fingertips. 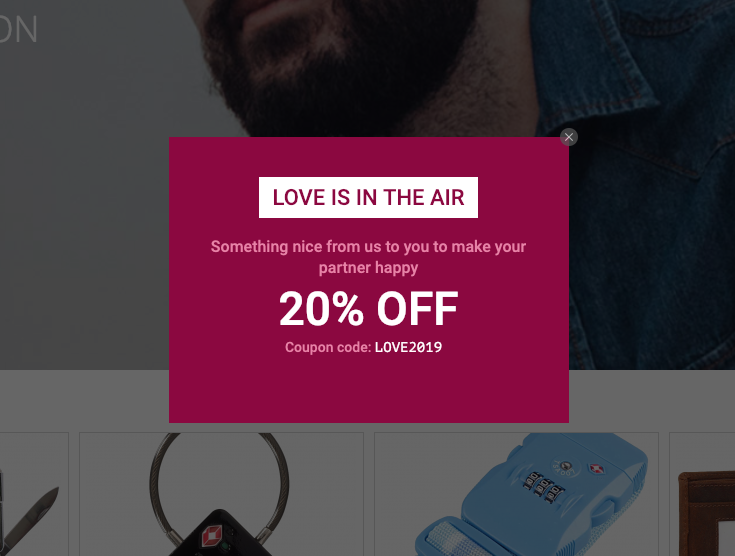 There’s no limit to the benefits of a more efficient mobile experience, which is why this expandable panel is another great way to surface the best Valentine’s Day products for those shopping on their smartphones. Upon clicking or hovering, a tempting CTA and detailed information about your specific promotions will be revealed. Valentine’s is all about showing love, so it’s good practice to do a little bit of the same. Share your appreciation and take part in the day by putting your promotions front and center across the user experience. In doing so, you’ll win the hearts of 39.1% of people who say coupons change their actions. As an online retailer, you’re probably planning to send a variety of promotions to your different email segments. Ensure whoever clicks through receives the correct promotional message when landing on your site with an overlay, such as the one below. Codes should be easy to copy and apply at checkout. Valentine’s Day shoppers are now in the market for a lot different types of gifts for the numerous people in their world. And sometimes, the easiest way to get them to where they want to go is by providing easy access to your top holiday season category pages. Throw in a promo code to shorten their path to purchase. The entry point to your shopping experience for a significant amount of traffic on Valentine’s Day, you’ll want to catch visitors while love is still in the air and display your best gifts for the occasion. A good way to do that is by placing a recommendation banner above the fold, directly on your homepage. In this new world of digital commerce, it’s clear shoppers have moved beyond just flowers and chocolate. With so many distractions and gift options available to them, both in-store and online, savvy retailers will have to adopt new strategies to capitalize on high customer intent. If brands succeed, they’ll be repaid handsomely in the form of higher revenue per user during the year’s first major holiday event. Looking to deploy one of the tactics above but don’t have the design or development resources? Every one of the use cases featured in this post can be found in Dynamic Yield’s Template Library – just tweak them to fit your branding and set them live.